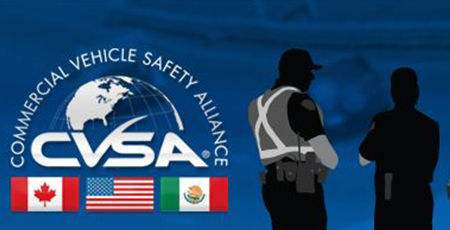 The Commercial Vehicle Safety Alliance (CVSA) held its annual Brake Safety Day on September 7th, and the results might stop you dead in your tracks. Brake Safety Day is part of the CVSA’s Operation Airbrake Program in partnership with the Canadian Council of Motor Transport Administrators (CCMTA) and the Federal Motor Carrier Safety Administrators (FMCSA). Since the program began in 1998, it has inspected more than 3.4 million brakes. With a total of 7,698 vehicle inspections performed between the United States and Canada during the 2017 edition of the annual enforcement blitz, 78% of the vehicles inspected did not have violations that would’ve placed the vehicles out of service. There were, however, 1,064 inspections conducted that resulted in an out of service violation for brake-related violations. The goal of the annual Brake Safety Day is to reduce the number of crashes caused by faulty braking systems. The roadside inspections allow officials to not only perform important inspections, but to also educate drivers, mechanics, owner-operators, and others on the importance of proper brake inspection and regular maintenance. Properly functioning braking systems are a crucial part of safe commercial motor vehicle operation and would mean the difference between life or death as poorly maintained or improperly installed brake systems can reduce braking efficiency and increase stopping distances required of large vehicles. This not only poses a serious safety risk to drivers, but to the public as well. Don’t wait for roadside checks, or an accident, to know whether or not your braking system is working properly. Be proactive and stay on top of regular maintenance for your fleet vehicles. Our GPS tracking device includes scheduled maintenance reminders as well as alerts for any engine issues, letting you get the full picture of your vehicle’s status so you can stay ahead of violations or breakdowns and keep your fleet on the road.